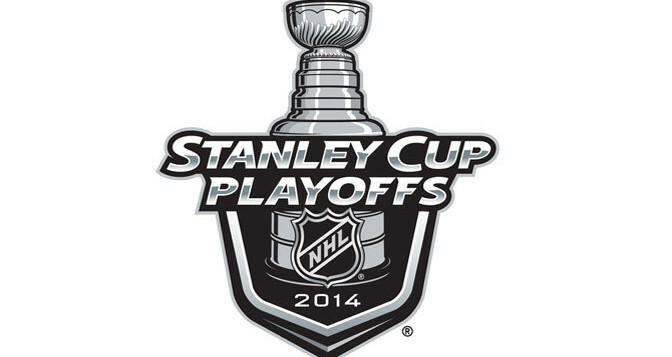 This year is the first year with the new AHL playoff model as the NHL playoff format. I am by no means a fan of this new format and would much prefer to have the old format back. I understand that owners want to save money and cut down on travel, but you pigeon hole teams into matchups that could/should be Western Conference Finals or Eastern Conference Finals matchups. Why not just take the division winners and seed them #1 and #2 and then fill in the rest? It would literally be the old format with the new divisions. It’s quite frustrating as a fan when the NHL changes stuff that doesn’t need to be changed. 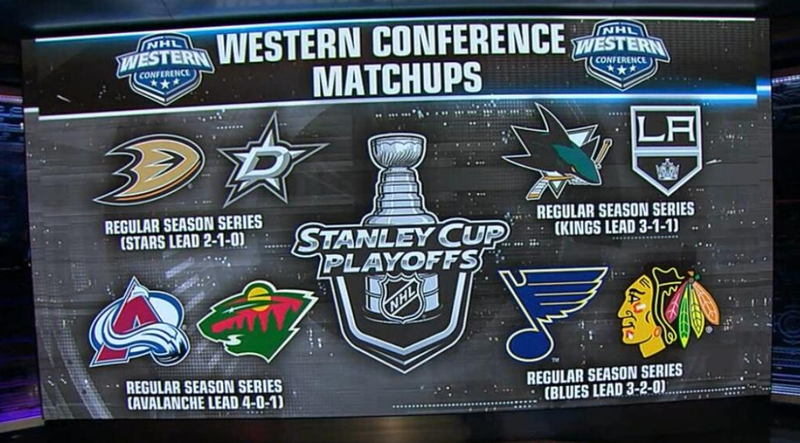 That being said, these four first round matchups are extremely juicy. And without further adieu, here is my Western Conference preview and predictions. The St. Louis Blues backed into the playoffs in a gruesome fashion after starting out hot after the trade deadline. Both the Chicago Blackhawks and the Blues are dinged up and this series will be a struggle. The Chicago Blackhawks only finished third because of injuries to Patrick Kane and Jonathan Toews. Some bad news for Blues fans though, both of them will be back for the first round. #Blackhawks coach Joel Quenneville said Jonathan Toews and Patrick Kane will "absolutely" be ready for the start of the playoffs. This entry was posted in NHL and tagged Anaheim Ducks, Antti Niemi, Brent Seabrook, Chicago Blackhawks, Colorado Avalanche, Corey Perry, Dallas Stars, Duncan Keith, Jamie Benn, Jim Nill, Joe Pavelski, Joe Thornton, Jonas HIller, Jonathan Quick, Jonathan Toews, Kari Lehtonen, Logan Couture, Los Angeles Kings, Marian Gaborik, Marian Hossa, Matt Duchene, Mikko Koivu, Minnesota Wild, NHL Playoffs, Niklas Hjalmarsson, Patrick Kane, Patrick Marleau, Patrick Roy, Patrick Sharp, Ryan Getzlaf, Ryan Miller, San Jose Sharks, Semyon Varlamov, St. Louis Blues, Stanley Cup Playoffs, Stanley Cup Predictions, Teemu Selanne, Tyler Seguin, Western Conference, Zach Parise. Bookmark the permalink.